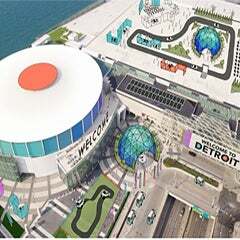 DETROIT February 1, 2017 -- Claude Molinari, general manager of SMG/Cobo Center, today announced that more than 3,500 people were employed during the 2017 North American International Auto Show in Cobo Center. 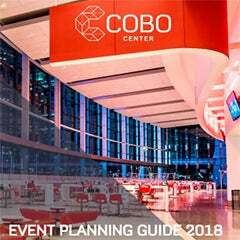 Included in that total are all of the union employees that come into Cobo Center to work during major events for security, janitorial, food and beverage and the construction of the exhibits and displays. Increasing demands for WiFi and Internet services also required an increase in workforce during the 2017 NAIAS. The first Press Preview day realized peak capacity for the show at near 600MB, nowhere near the 10G Internet capacity possible in Cobo Center. Technology crews were brought in from various local companies to increase support for the more than 50,000 unique clients enjoying the free WiFi during NAIAS, moving almost 9Terabytes of data traffic without interruption. According to records, this is a 22% increase on technology requirements for the show over last year. 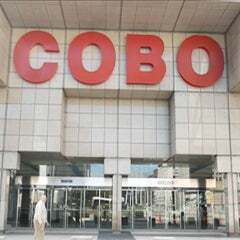 NAIAS and the Cobo Center executive team are currently negotiating a second, long term contract to keep the auto show in the center. The first five-year contract signed in 2012 ended this year. Additionally, SAE International just signed a seven-year contract that will keep the SAE World Congress Experience in the facility through 2025.